The Australian dollar was down this morning after weaker then expected inflation data. The rate of inflation came in at 0.2% instead of the expected 0.4%. The core rate was 0.5% which was in line with expectations. Although the RBA is more likely to take core inflation into account, the announcement spooked traders which saw the dollar fall by 0.3%. Immediately after the announcement it found itself just above the $0.79 mark. We don’t expect the current fluctuation of the AUD to have a dramatic effect on the price of gym mats. The dollar has been relatively high in the past few months which has kept the price of gym mats low. In any case suppliers like Southern Cross Mats are competitive and usually absorb any currency movements. It would take a serious shock to the market to cause a large drop in the AUD and therefore have an effect on imported goods. The other factor to consider is the price of oil. 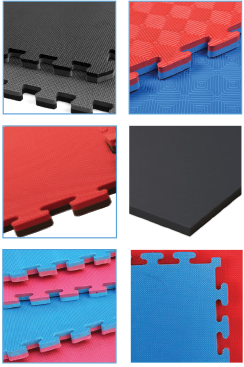 As you may very know foam mats are manufactured using EVA which is a petroleum bi-product. Any change in material costs has an effect on the finished product. The price of foam mats has stayed low because the cost of oil has been stable. What’s more any rise in the cost of USD denominated raw materials would have been off-set by the rising AUD which has acted like a buffer. As such we can expect the cost of foam mats to stay low. Order your jigsaw mats whilst the AUD is good value. You know you will be able to buy your jigsaw mats at a good price when the Australian Dollar is so high. The price of jigsaw mats is much higher when the dollar is around the $0.72 mark. We have heaps of stock of jigsaw mats at the time so order now. We also have a shipment coming regularly.